SUGAR CITY — Sugar-Salem could be the latest Idaho district to opt for a four-day school week. An average increase of 30 student absences in the district on Fridays. An average of 114 class periods missed on Fridays due to school-excused activities. An average increase of five additional substitute teachers needed on Fridays. “The goal of the school board is to increase student attendance, increase teacher attendance, and use student-teacher time more effectively throughout the week,” the webpage reads. The webpage also outlines possible class schedule changes, perceived benefits and concerns. The benefits include improved student attendance and financial savings. The concerns include added demands for daycare services and longer days for kids. The Rexburg Standard Journal last week reported that the district planned to host a community meeting to gather input. Sugar-Salem Superintendent Chester Bradshaw said the district had “done a lot of homework” on the topic, and said emotions have played a large part in shaping perceptions about the issue. “They’re either for it or against it for whatever emotional reasons,” Bradshaw said prior to the public meeting. State Department of Education data show a steady increase in four-day schools in Idaho since 2006-07. Currently, 58 school districts and charter schools operate on a four-day schedule — up from 48 in 2013-14 and 26 in 2010-11. 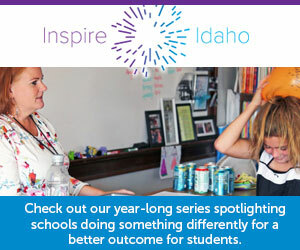 In 2015, Idaho Education News teamed up with Idaho Public Television for a comprehensive series about the rise of four-day schools in Idaho. Sugar-Salem is located in East Idaho, some 30 miles northeast of Idaho Falls. The school board meeting begins at 7 p.m. Wednesday at the district office. Alan Dunn, past president of the Idaho Association of School Administrators, will retire from the East Idaho district on June 30, 2018.